Introduced two years after its little 600cc brother, the bigger Yamaha XJ900S Diversion is a real, no-nonsense all-rounder. Ok, so it lacks outstanding performance or any semblance of sexiness but who cares? 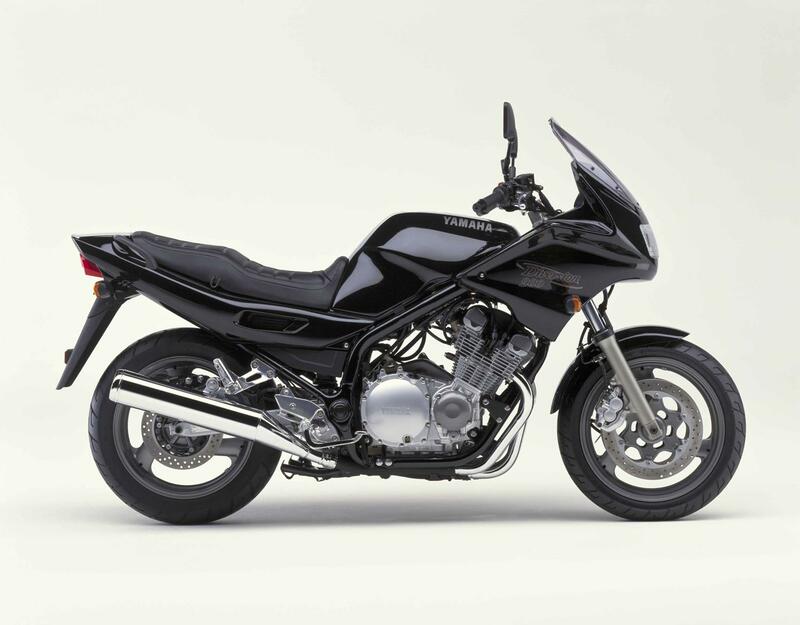 For bikers on a budget who ride in the real world, the Yamaha XJ900S Diversion is hard to beat. Has a long standing and respectable heritage, too. The Yamaha XJ900S Diversion is super comfy for rider and pillion but the suspension’s fairly basic and the forks are a bit soft. It feels stable and can be fun on twisty roads but it feels heavy in to corners and at slow speeds. 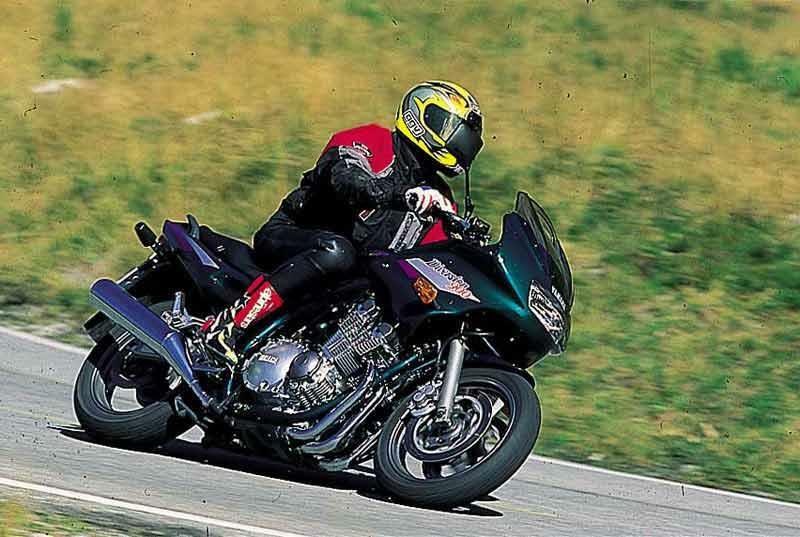 Brakes are ample (but need regular attention) and the transmission is smooth but the Yamaha XJ900S Diversion could do with a sixth gear, once out on the open road. There’s plenty of pull throughout the Yamaha XJ900S Diversion's rev range and in any gear and, while it won’t have you clinging on for dear life, it’s steady and consistent. Very dependable. What’s more, it goes on forever, is a doddle to work on and sounds lovely. Very smooth delivery. Down side? Things get a bit vibey on the Yamaha XJ900S Diversion at urban speeds. Yamaha XJ900S Diversion's dash includes speedo, tacho and fuel gauge: all clear and easy to read. 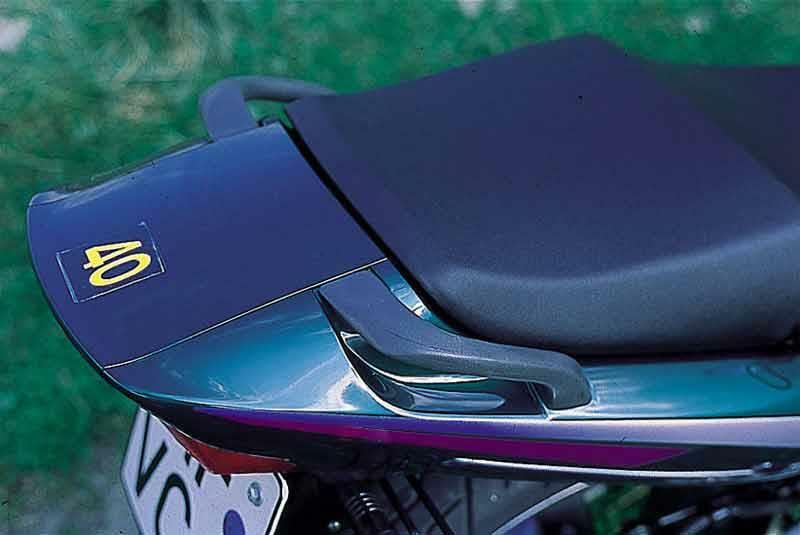 The Yamaha XJ900S Diversion also boasts underseat storage, grab rail, bungee hooks, large screen, excellent mirrors and a very comfortable seat (and pillions agree, too!). 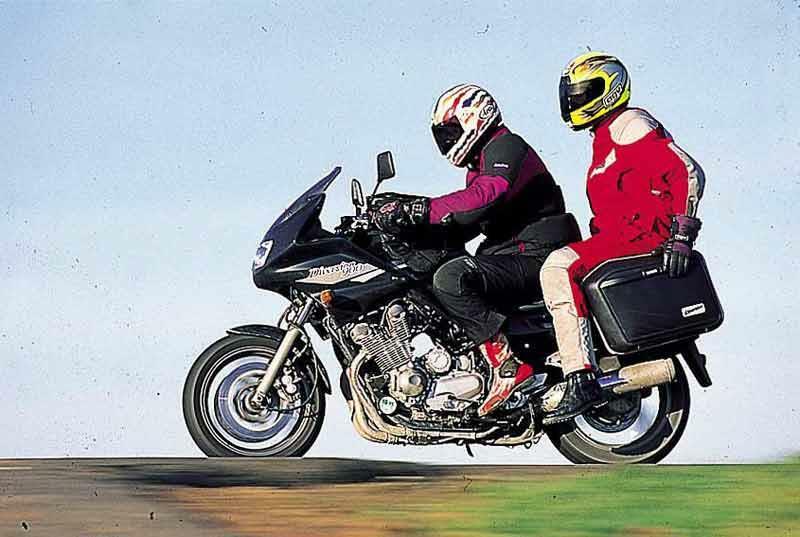 The Yamaha XJ900S Diversion's massive tank is great for touring and many used models will come with luggage. 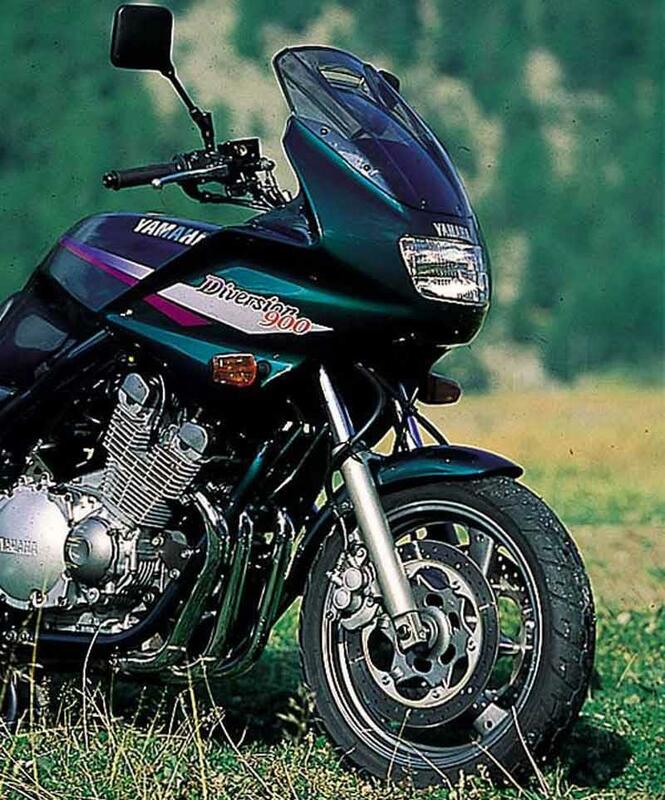 1994: Yamaha XJ900S Diversion introduced: an update of the old XJ900 which had been running since 1985. 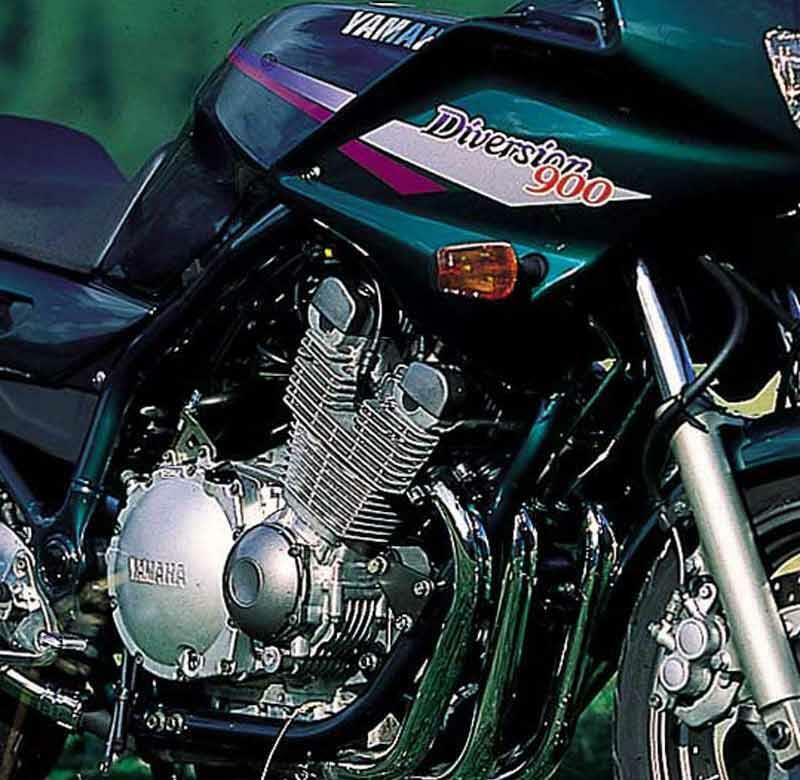 1996: Yamaha XJ900S Diversion gets major update including improvements to front and rear suspension (the forks got adjustable preload). The choke lever moved to the handlebars and the redline moved to 9500rpm. Anti-corrosion nuts and bolts fitted. 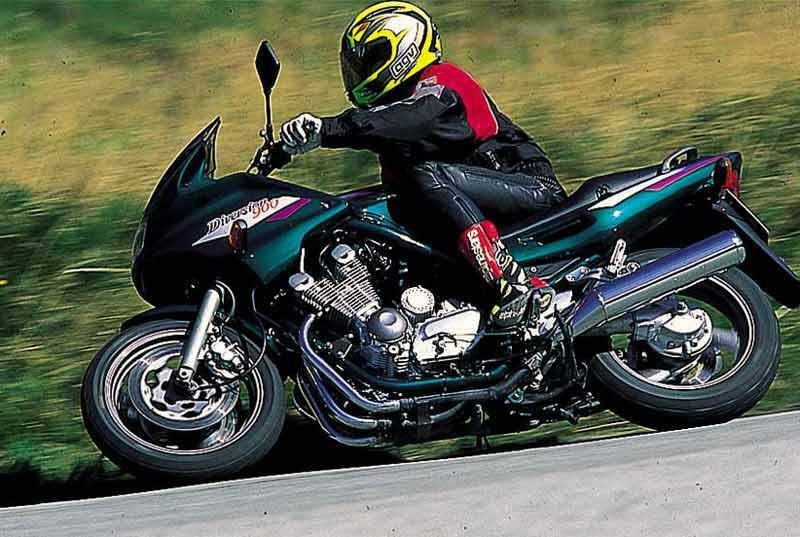 1997: A further update for the Yamaha XJ900S Diversion, with new fork tube guards, a new seat and hazard warning switch. 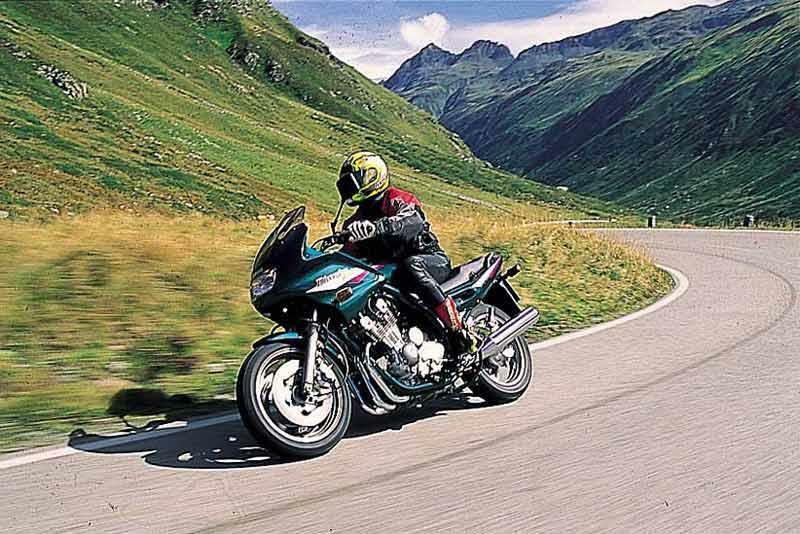 2004: Yamaha XJ900S Diversion discontinued. 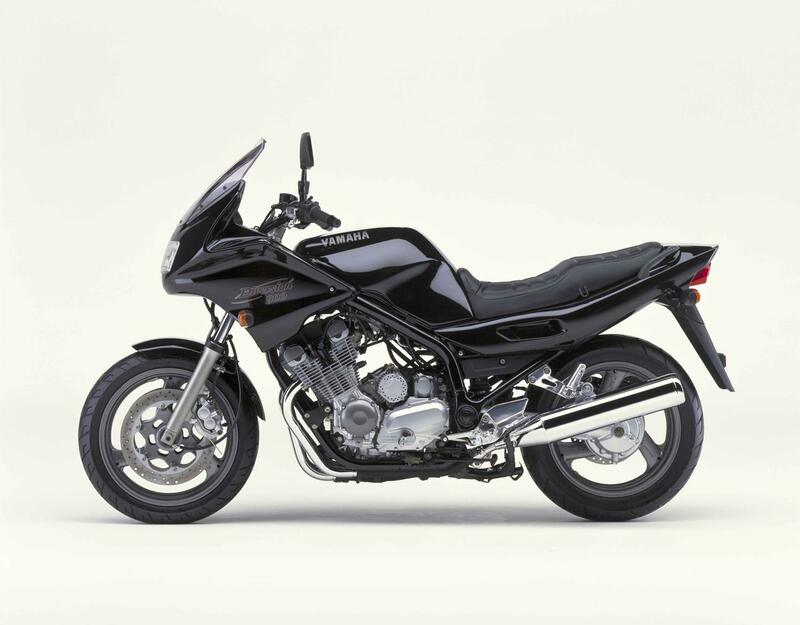 18 owners have reviewed their YAMAHA XJ900 DIVERSION (1994-2004) and rated it in a number of areas. Read what they have to say and what they like and dislike about the bike below. Divi 900 "the every mans bike"
Had the bike for 7 years and have been across Europe on it no problem. I have confidence in the bike that it will get me to where I want to go and get me back. Hard pushed to think what I would replace it with. I standard trim I found that the wind comes round the sides of the fairing and rattles your helmet and you also get your front wet. I made plastic filler pieces to round off the dished in sides of the fairing. Result was massive improvement in reduced wind buffeting and now only the outer edge of my arms picks up water. I have toured across Europe and covered 400 miles some days but always felt ok to get on the bike the next day and do it again. I never ride 2 up, prefer to carry my luggage instead. 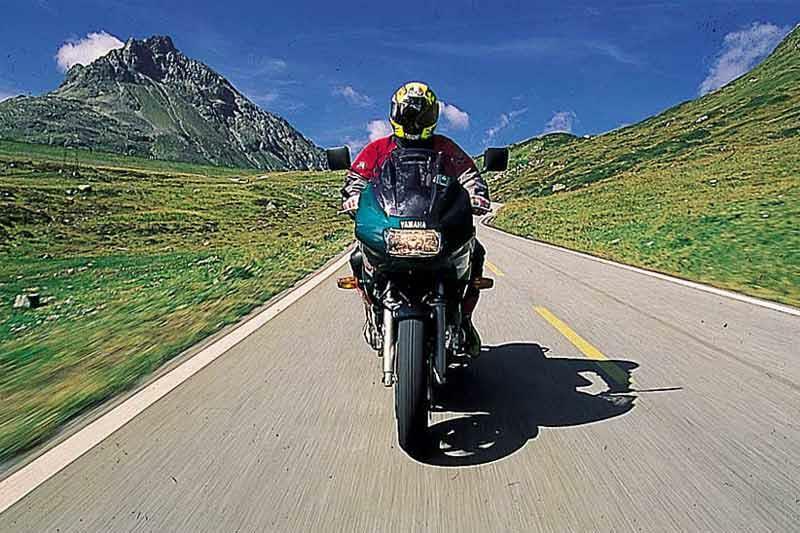 If you prefer to ride to ext-reams then not the bike for you. Normal riding the bike handles well and is a solid as a rock with no nasty tricks up its sleeve. Would I swap for a BMW ? 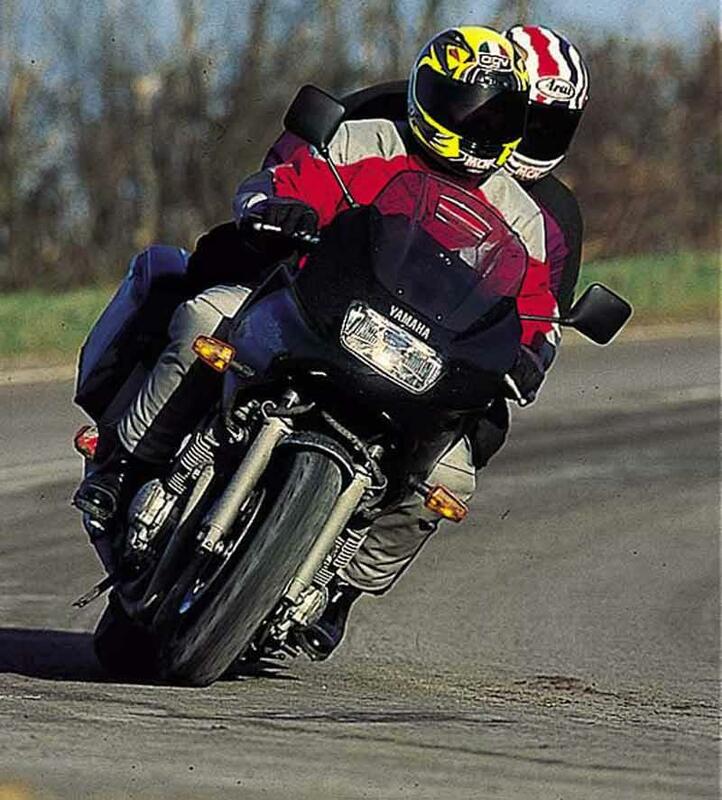 Well I had the chance of GS 1200 with only 1500 miles from new at a very low price and did a lot of soul searching and in the end still have the Divi I think running costs, reliability and the devil you know won out in the end. Servicing is basic with oil change and filters and spark plugs ( which are £16 for 4 ) Half hour job. Carbs need balancing now and again but seem to need less attention as the bike gets older ( half hour job if you have a balance kit and an extra pair of hands) . If the Carbs are out then the bike is hard to ride at low speed and will feel heavy. Replaced front pads twice in 7 years and rear once ( I am not heavy on the brakes) Change the oil in the diff on the shaft drive. Space under the seat for tool kit and other bits and pieces. Has a fuel gauge and a clock on the dash which are handy on longer rides. Fixing luggage is not a problem. I tend to use the 2 compound tyres for touring. Tyre life I have found to be 6 to 8 K depend on the type of riding more than the tyre however I think that the Divi tend to ride on the revs and not all torque which probably helps. I I put 5lb extra than the highest recommendation in the rear tyre when carrying luggage as it keeps shape better and doesn't run as hot. Best feature os the silky smooth ride on the open road. Worst feature is low speed vibration and heavy at low speed too. The kind of bike that you never want to get off. I always take the longest route possible. Can't fault anything except cold start can flood carbies. Everything else works perfectly even 18 years on. I do my own servicing so cost is not a problem. Love the fuel gauge, clock taco no need for extras. Private sale. Very happy experience. Ride quality pretty good, soft and lazy, comfortable both solo and 2 up, throwing it around just takes a bit more effort but it's ok(ish!) Brakes are ok, I commute mostly and use the rear a lot and it's nice and easy - faster stopping requires a lot more effort but it has got the original brake lines on so I'll be changing them to see if an improvement can be gained. Purely a guess - doesn't use any oil (nearly 2000 miles covered since purchase) I'll change oil, filters and pads in the near future but can't see much more to do. What equipment? As far as I can see as standard you get a motorbike! joking aside the fairing works, the dash is fab, this one has crash bars fitted and they look good, Nonfango rack and topbox - too small (just got a huge one and panniers for no money off ebay) replacement stainless exhaust which sounds great, tyres are Avon Roadriders - not that impressed in the wet - I'd like to try Michelin Road Pilots - had them on a Ducati and they were awesome in the wet - anyone tried them on a D9? I always overlooked this bike when buying. I love this bike already after 2 weeks. Good brakes and really comfortable seat. Could do with a 6th gear but overall a nice engine. I like the look and build of this bike. Easy to work on. It has everything I need for travelling. I bought private from a really cool Bulgarian Chef in London. He gave me an amazing price and the bike is in superb condition. It is worth around £1400 & paid £950. He had it up for £1000. watch out for rusty welds! Most people overlook these slightly old and boring looking machines but they would do well to consider them. While the mechanics are definitely rather basic and the old style carburetors mean a little bit of willing choke is necessary to start the beast on a frosty morning, you couldn't hope for a more reliable bike. The seat is comfortably low and the weight of the rather large engine are low in the bike's center of gravity, making it quite easy to control her when walking it about. 90bhp is roughly the same sort of power you would expect to see out of a BMW R1150RT, demonstrating that while the mechanics are a little bit old it's no slouch. Unlike any other bike I have owned, the Diversion is plenty happy to gently pull around at 2,000RPM, with little to no surging like you get on many fuel injected bikes at that rate of engine rotation. There's easily enough poke to shame cars and even some smaller sports bikes at the lights, though the engine gets a little wheezy and breathless above 6,500RPM. The suspension is decidedly soft, especially the front forks, so the bike is never going to be doing knee down frantic frolicking but its more than capable down a twisty country road, if you respect the weight and use it to your advantage when muscling the bike through a corner. Easily the best thing about the bike is the dash; so many old bikes have horrendous information displayed on a frankly awful dash. The Diversion 900 is not so; the dials are large, pretty darn accurate (tested with GPS speed meters) and easy to read; the fuel gauge seems pretty accurate, and the backlighting at night is superb. There are only two niggles that ruin an otherwise excellent bike. I think the bike could really have done with a 6th overdrive gear; motorway work is easy but the engine always feels like its spinning a little bit higher than is strictly necessary. A nice 6th gear to reduce the bike to 4,000rpm at 70mph would be lovely, and economical. The other thing is a consequence of excellent build quality. it is a real pain in the derriere to do any form of electrical maintenance as the wiring boxes AND the battery are all buried under umpteen body panels on the right hand side. I understand WHY they have done it, and the solid quality feel of it all is definitely confidence inspiring but it makes charging the battery quite a length affair as getting to it isn't that easy. other than that, I can't fault it. It'll ride happily, long distance, two up with absolutely no complaints and will put a smile on your face while doing it. 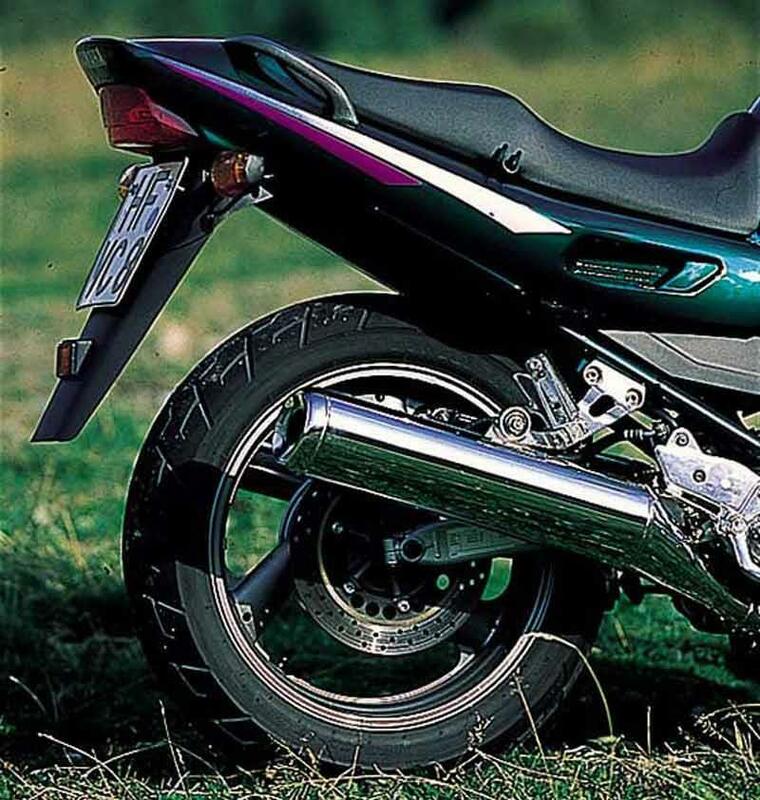 1995,Thursday morning 05:30 my Honda cb125tde was stolen! That was the end of my biking life. 2011 talking to mate who past his full motorbike liciences, riding a bandit 500. i told him about my goal of touring on a bike. you get a bike we are off! june 2012 - converstaion with a northerner at my place off work informs me? 1996 xj900s £500 and it is yours, went to the wife like ya do! she turned to me and said who am i to block your goals!. It is a great mechine, handles great, looks great makes me smile by the way i am off to France for my four day tour. It has been mentioned alot it is realy easy to work on. I've had the Divi 900 2 years now and I love it, easy bike to work on, you look after it and nothing will go wrong. It rides and handles well, ok its no sports bike but it will keep up with the crowd, big plus is the air cooled four cylinder engine thats will run for ever, mine as reached 61,200 and still sounds like new, easy to maintain engine. It handles the twisty roads very well for a sports tourer and will run all day on motorways.Big petrol tank so not many stops. A bike that is also easy and cheap to alter for your needs if you are under 5'9" So if you are looking for a sports tourer don't over look the Divi. i have had my divi for about a year and use it for work and pleasure and so far has not misssed a beat, it is ridden in all weathers and i have done 3 tours with 2 more to come this year ,it averages 60mpg on long runs and 48 round town, i cant praise it high enough and even after 12 months i cant wait to get on it not, encountered any glitches so far apart from seized choke cable and rear brake caliper i love this bike so much i cant think of anything to replace it except a newer one in few years time,if you are in the market get one you will love it. Just got a '94 model with 12k on the clock, its a lovely tidy clean bike. My previous bike was a CB1300 X4 so this isn't as torquey as that or as fast but I am enjoying hustling it around a little. Its very light (in comparison) and came with a set of Yamaha Diversion panniers fitted and a top box, the only other custom part is a taller screen which suits my 6' 4" frame nicely. It seems a very tall bike to me and quite narrow but the engine is very willing, the shaft drive in nice and while it may not be as exciting as the X4 it still has brought a smile to my face. Looks like it will b great for touring a little with my wife on the back and so far its been ultra comfy. I would recommend this to anyone who doesn't do race days and wants a cheap all rounder for work and pleasure, lots of after market bits available and loads of cheap spares on E-bay. Brilliant. I have a GSXR1000k1 for myself and the 900Diversion for touring with the wife and we both love it. It is so much fun it should be banned. It also a nice change from the madness of the gsxr1000. Dare i day it but i have more "fun" on the Divy than on my gsxr, hence its up for sale! Great all-rounder, with a few vices. I've always wanted a true "all rounder". This is it - well, almost. The only real vice this bike has is the headlight, which is truly pathetic. My Honda 125 scooter is miles better! Also, the bike is a bit on the heavy side, and the fuel consumption is a poor (in my opinion) 42-45mpg. This compares unfavourably to the K100RS I had, which easily averaged 52mpg while delivering similar performance. If only Yamaha had used fuel injection. Finally, at 6ft 1", I find the screen too low for comfortable long-distance riding. As far as quality goes, I've never risked riding it in the winter (unlike the BMW). Great all rounder, low maintenance and good economy. Solid and reliable bike giving all year round riding and reasonable weather protection and 200 mile tank range (more on longer business trips). Comfortable two up with good passenger comfort. Quick enough for me. Bridgestone tyres work best for me, 8k from rear and 10k from front and thats not riding at a snails pace. Paint work still looks good with regular cleaning. No other maintenance apart from mid year oil change. Strengths: Dependable, comfortable, shaft-drive. Weaknesses: Little on heavy side but this does not affect riding. I HAVE OWNED THIS BIKE FOR 10 YEARS (BORING I KNOW) BUT MY PREVIOUS BIKE WAS A HONDA 750 KZ -REALLY OLD. THE COMPARISON WAS REMARKABLE THE YAMAHA STOPS IN THE WET (GOOD BREAKS) THE MOTOR IS BULLET PROOF (ALL I HAVE DONE SINCE THE FIRST FEW SERVICES IS CHANGE THE OIL AND FILTERS. THE SHAFT IS MAINTAINCE FREE. THE TYRES ARE GOOD (AVON SOMETHINGS), THE RIDE IS EXCELLANT ALTHOUGH I THINK I NEED TO LOOK AT THE SHOCKS, THE FINISH IS EXCELLENT ALL ORIGINAL PAINT AND BITS INCLUDING THE EXHAUSTS. I REGUARLY RIDE THIS BIKE ONE AND TWO UP AND CAN'T WAIT FOR THE NEXT TRIP. THE BIKE GOES AS FAST AND HANDLES AS WELL AS I NEED IT TO AND STILL TOPS THE TON + WHEN MR PLOD IS NOT WATCHING. I WISH YAMAHA HAD MADE A NEW SIMILAR SHAFT DRIVE TO REPLACE THIS MODEL. I AM THINK OF A NEW FAZER 1000, PERHAPS I WAIT UNTIL THEY FIX THE FUEL INJECTION. Strengths: RELIABLE LOW MAINTAINACE FUN. Weaknesses: NOT TRENDY. Forks are soft, replaced the springs with Ohlins and upgraded the brakes with HH pads and braided brake lines.